AKIPRESS.COM - The farmers of the Dashoguz velayat, where the sowing season starts later than in other regions of the country, started cotton sowing campaign. 230,000 tons of cotton are planned to be harvested this year from Dashoguz cotton fields of 140,000 hectares, the state media report. Before the start of spring sowing campaign, the local authorities had a meeting to discuss organizational issues related to the sowing campaign, its quality, and other issues. The locals also held festive events on the occasion of the start of the spring sowing campaign. 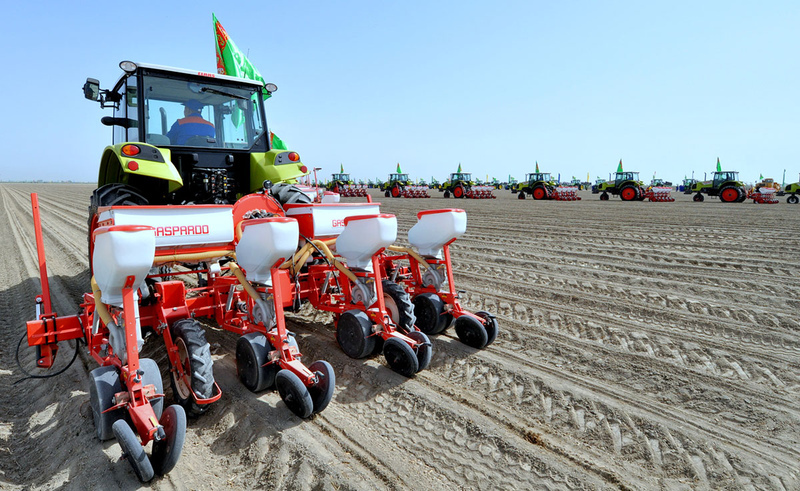 Exhibitions of agricultural machinery and farm products of the northern region were organized.